Even at the present day, when arbitrary forms of speech long since have displaced the more primitive use of universal symbols, it is not uncommon to refer to the highest point as nearest heaven. The highest point in the zodiac, the place for which pyramids and mounds were erected, is the dividing line between Gemini and Cancer. Fires were lighted on these eminences to signify the Sun had reached its greatest elevation; that is, had reached the very gate of heaven. If there is a special gate to heaven, to which in ancient times great homage was paid we moderns should not be ignorant of its nature. Peter, who is pictured in the sky as Cepheus with his foot upon the rock of Truth, the Pole Star, against which the gates of hell, at the opposite side of the zodiac, shall not prevail, is reputed to hold the keys to the kingdom of heaven, as related in Matthew, 16. But it were better for our purpose to go much further back; back to the dream of Jacob as described in the twenty-eighth chapter of Genesis. The degrees of the zodiac are not unlike the rungs of a ladder which arches the sky, extending from earth to heaven. Jacob dreamed of such a ladder set up on the earth, and the top of it reached to heaven; and angels of God were ascending and descending on it. Thus do the Sun and the various planets move higher and higher in the sky until they reach the first of the sign Cancer and then start their descent to lower declination. 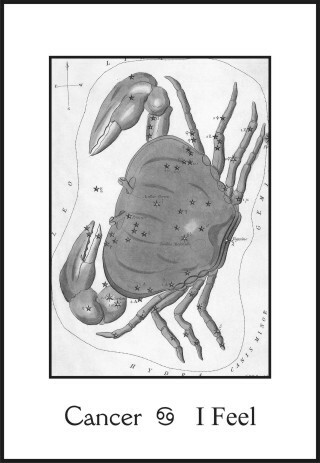 This sign Cancer, where the Sun may be found from June 22 to July 23, is the natural ruler of the home and family. Therefore, next in his dream he is told that his children will be many and that in them all the families of the earth will be blessed. But when he awoke he was frightened, saying, "this is none other but the house of God, and this is the gate of heaven." As angels more commonly are considered, instead of their going up to heaven from the earth, and the returning from that superior region, we should expect them to come down from heaven and after their visit on earth to return again to that higher plane. But in Jacob�s dream they were going up, as the Sun ascends to reach the sign Cancer, and then coming back to earth, as the Sun again descends after it reaches that family sign. This going up and coming down, which the Sun is observed to do each summer, evidently signified to those who traced the starry pictures in the sky and gave to each a story, a going up and coming down which was suggestive of the movement of those intelligences which have no physical form, and which, for want of a better term, may be called angels. Although the place where a person commonly sleeps may be regarded as his home, the action of Jacob after awakening, of setting up a stone to be the house of God would be difficult to understand were it not that other contemporaneous peoples, in various parts of the world, were also accustomed to set up pillars, pyramids and towers to commemorate this nearest approach of the spiritual symbol, the Sun; which, in this position, marks the commencement of the home sign, Cancer. It was the belief of the better informed of these people that the soul made progress by gaining experiences in one physical form; passing at its dissolution into the astral world, as Jacob saw the non-material beings do in his dream, and after a period of experience and assimilation in the astral world, descending, as Jacob saw them do, to occupy another, but more complex, physical body on the earth. Every such form occupied constituted one rung in the soul�s evolutionary ladder. It could be gained only through the offices of parents who provided it opportunity to have a new physical body. Every physical cell, every germ or shoot which develops into bacterium, plant or animal is dependent upon parenthood for its existence. Without parenthood there could be no opportunity for evolutionary progress, no successive rungs which more complex life forms provide, no avenue to reach the spiritual development which opens wide the Elysian gates. As the commencement of Cancer marks the highest declination of the Sun and the boundary of the place of home, so also, as signifying parenthood, it is in truth the very gate of heaven. This coming back to earth, and the coming back of the Sun toward the earth in declination, needed some object to represent them in the sky. The Crab does not move directly forward, as other creatures are wont to do, but has a backward, sidewise gait. Its motion thus most fittingly represents the backward motion of the Sun. Nor is it without significance that the preceding compartment in the zodiacal circle, which is touched by this gate of the above, is Gemini, the section ruling thought. As the Key phrase to Cancer is, I Feel, we have quite appropriately, Thinking and Feeling in immediate contact with the highest point of the celestial circle, and thus leading to the heavenly gate. Thoughts enter into compounds which are harmonious or discordant according to the Feeling at the time they were brought together. If the feeling was that of discord, the thoughts so united tend to attract into the life the very opposite of heaven; they attract misfortune and distress. But if the feeling which accompanied their union was of a pleasant turn, to the extent such harmony was present do the thought cells then composed, work to attract fortune and happiness into the life. A similar process is at work with lower forms, in fact, wherever life exists such processes are at work; although the states of consciousness experienced can hardly be dignified by the name of thought. Yet life forms on every plane, and in every stage of progress, have experiences which are registered in their finer forms as states of consciousness. These states of consciousness, however lowly and simple they may be, constitute the experiences of that form. They are registered in the astral counterpart, and combine to form the psychoplasmic cells of that finer body; and these, in turn, determine the experiences which will be attracted to it. Whether lowly or highly evolved, whether to a single cell of protoplasm or to an educated man, every experience that comes to a life form adds just that much energy to its finer body. As a man, when hypnotized, or under psychoanalysis, can recall any experience or thought of his past, so the four-dimensional body of every organism is a complete record of all that has happened to it, and its mental and emotional reactions to these occurrences. Thus it is that every form of life is moving forward, toward the acquisition of such abilities as will fit it to perform the particular function in the cosmic scheme of affairs, that it has been called into differentiated existence to fulfill. It attracts to it, by virtue of its original polarity, the type of experiences that afford it the proper trend in education. It does not have just the same experiences that some other does; because it is not being educated to fill the same cosmic position. Its experiences in one form of life, however, give its thought cells, or unconscious mind, ability to handle certain situations. It learns how to gather together the material elements and build a certain kind of physical body. And then, when the body dies, as seen in Jacob�s dream, it ascends to heaven; that is, passes to the astral spheres. In this astral realm there are other opportunities for experience and progress. Life is never stationary; it is ever moving, always gaining new experiences, whatever may be the plane. These experiences, however, are of a different sort. They are four-dimensional experiences; experiences also of reorganizing what has been gained in the preceding physical body. Then, when the vibratory conditions are right, the life form which has continued its progress on the astral plane, is attracted again to earth, descends the ladder as in Jacob�s dream, to enter another physical form; a physical form which is a step in advance, perhaps a long step in advance; due to its assimilation of previous experiences. Successively, it ascends to the astral plane and then returns to earth, as the angels moved up and down; but each physical form, due to its acquired experiences, is a step in advance, and each ascent to the astral is a more conscious existence. Birth and death and birth again are the rungs of the ladder which lead man to his spiritual estate; and the gate through which he must pass to enter that estate is the gate of parenthood. The benefits of parenthood, if its offices are well performed, are not confined to those conferred upon the offspring. Like most of the better things of life when given, the giver receives an equal advantage. As iron when cold gives forth no glow, yet becomes luminous with light when sufficiently heated, and thus imparts a motion to a substance finer than the physical, that is, to ether; so the warm sympathies of parenthood transmit their energies to substance still finer than the astral and tend to the construction of a truly spiritual form. To the extent feelings and emotions are present which have for their chief concern the welfare of others, do they displace thoughts and emotions which revolve around the self, such as are represented by the Giant Bear; and to the extent the tender emotions of the family ties find expression do they displace the domestic discord of the Giant Crab. Greek legend says that while Hercules was performing one of his great labors, battling with Hydra in the Lernean marshes, a huge Crab attempted to drag him down through seizing him by the foot. Many another worker has similarly been hampered in life�s struggle through domestic misunderstanding. Strife and discord in the home have a peculiarly effective way of confusing the mind and retarding effort. They are powerful to pull the individual down. But domestic harmony is equally as effective to raise him up. The text, therefore, becomes: Parenthood Tends to Displace Selfishness With those Tender Affections that Most Quickly Strengthen the Soul and Build the Spiritual Body. Long have the bards sung of the Inconstant Moon, whose face each night is different from the last; who rules the ever-changing ocean tides, and in the birth chart of man is found in that department of his life most given to ebb and flood. Might we not expect, then, that the Moon�s own decanate of the Moon�s own sign, Cancer, should picture in constellation and in story, some spiritual doctrine relating to family life, which the sign as a whole governs, as influenced by unjustified change? And we should have a right to expect, I believe, that the teaching should chiefly revolve around a danger to be avoided, rather than an advantage to be won; because when the Sun enters this particular decanate, or 10-degree section of its path, it undergoes its greatest derogatory change. 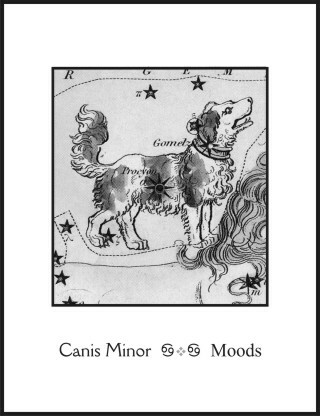 Until it reaches the point pictured among the constellations by Canis Minor it increases in power, the days get longer and longer; but the moment it touches the Little Dog decanate it begins to fail; its power diminishes, and the days become shorter and shorter. Its life is no longer what it used to be. It should not be inferred from this, however, that people born from June 22 to July 2, are less faithful in their family vows than others. Their love of home and their devotion to it is even remarkable. The changeableness to which they are subject relates to their feelings. Their emotions are like the tides of the sea, flowing in during one period, shortly to turn and flow out during the next. Although the message the constellation conveys points to the dangers of moral laxity, the trait which most clearly distinguishes those born when the Sun is here is stated by the Keyword, which is Moods. Cancer is the first of the watery signs, and thus relates to baptism. That is, the Sun, as symbol of deific power, as it makes its annual pilgrimage, must go into, and come out of, the water sign Cancer before it can return to its own home in the nest sign, Leo. It is not the sign of death, but in a natural birth chart rules the conditions at the end of life; and thus signifies, as baptism does, a readiness and willingness to enter upon a new and higher form of life, a willingness to enter the Father�s fold. When the ancients sought to find an emblem of the Savior in the sky, most naturally they selected the brightest of all the stars, the great star Sirius, which was venerated especially in Egypt because it gave warning of the flooding of the Nile, which in turn made possible the raising of crops, and thus gave new life to the people. This star, in turn, had its own announcer. Sirius comes first in zodiacal longitude, which determines the order of its pictorial succession; but due to having a northern rather than a southern declination, Procyon, the Little Dog Star, to people of the northern hemisphere, always puts in an appearance above the horizon first. When the Little Dog Star appears it is known that the Great Dog Star shortly will follow. The baptizing star, chief luminary to picture the water decanate of the most watery sign of all the zodiac, thus announces one still greater who is to come. The great baptizer of Bible times, John preached incessantly against moral transgression, saying; "And now also the axe is laid unto the root of the trees; every tree therefore which bringeth not forth good fruit is hewn down, and cast into the fire." In fact, he lost his life through pointing out to Herod the evil which would follow his domestic sins. Herod�s brother Philip had a wife. But instead of treating her as a sister, Herod violated the sanctity of his brother�s home by taking this woman and marrying her himself. The wife he thus obtained by breaking up his brother�s home was called Herodias; and by her subsequent conduct we may be sure that she not merely sanctioned this proceeding, but also chiefly engineered it. She was that type of woman who obtains her ends through craft and subtlety, to whom loyalty is unknown, and stops at no sin nor violence to prevent her ambitions being thwarted. Therefore, when John remonstrated with Herod on the evil thing he had done, and placed the proper measure of blame on Herodias, she schemed and plotted to take his life. And it is not amazing, as the power of the Sun is cut off as soon as it reaches the family decanate of the family sign, that John lost his head through a plot involving the whole domestic group. Herod, mindful of the wishes of the people, who rightfully regarded John as a very holy man, had no intention of killing him. But Herodias had a daughter who danced very well, and she conceived the idea of using this daughter to have John destroyed. When Herod�s birthday rolled around, therefore, and he had invited high captains and other notables of his realm to be present at his home, he was desirous of impressing them through affording excellent entertainment. He was more than pleased, consequently, as things began to get a bit dull, when just at the right moment, the daughter of Herodias put in an appearance and danced so engagingly that all were loud in their praise. As pride welled up within him, and rather off his guard with the excitement of the celebration, he swore an oath that he would give the girl anything she asked, even to half his kingdom. It had not occurred to him that she would make some unreasonable demand. But when, instigated by her mother, she did betray his spirit of generosity, to have failed to keep his oath would have lost him the esteem of all those present. Therefore, when the girl asked for the head of John, to save his own face, he ordered it brought to her, that she might carry it to her wicked, plotting mother on a platter. Herod may not have been a model man, but like Old Dog Tray, he had to take the blame also for the transgressions of his close companions. The Old Dog Tray story is told in many lands. He was not at heart wicked, just a dog with certain weaknesses of character, too easily influenced by his associates. He had never killed a sheep in his life, and had no intention of thus betraying the trust placed in him by his master. But there were other dogs that had no such scruples. They lay about all day, taking it easy and warming themselves while they dozed in the sun. But when darkness fell they gathered into a roving marauding band, scouring the countryside in search of sheep to kill, on which they feasted, returning to their homes before the break of day. Tray was not a murderer of sheep, but he loved company, and on a particular night when many sheep were killed had gone along, more for the sake of companionship than with any thought of adventure. By this time the owners of the sheep had become so thoroughly aroused that they had placed a watchman to observe which dogs left their homes at night to join the outlaw pack. Tray was absent from home, and was seen to join the others before the crime took place. He, therefore, was rounded up and paid the penalty of death, along with the guilty rest. Long before the time of Herod another Hebrew king, Ahab, had a wife whose name has come to be used as a synonym for infidelity and wickedness. Jezebel influenced Ahab to commit all manner of evil, and it was prophesied, therefore, that she should die and that the dogs should eat her flesh; a prophecy that in due time was fulfilled, as related most dramatically in Second Kings. The dogs that thus devour are the emotions which ever accompany wickedness. The feelings which are present as the companions of thought determine the type of compound which is formed in the thought cells of the structure of the finer body. Treachery, sooner or later, brings a reward of sorrow through the events attracted by the thought cells thus formed. Hate gnaws at the very bones of the hater, attracting malice from others, and through its action on the ductless glands, destroying the mineral balance of the body. Ever-changing moods and fretful inconstancy within the domestic circle attract a train of woes that consumes the energies and leads eventually to some disaster. The Greeks portrayed the devouring effects of unhallowed emotions quite clearly in their story of Actaeon. This legendary person had fifty dogs with which he hunted in his leisure time. One day, as with his dogs he came out of the forest into the vale of Gargaphia, quite by accident he discovered Diana, the Moon, bathing there with her nymphs. Instead of beating an immediate retreat, as modesty dictated he should, his emotions overcame his finer nature. But Diana perceiving his approach, thereupon transformed him into a stag. In this stag the dogs could not recognize their master, but considering it their natural prey, they tore him quite asunder. The Law of Affinity is inexorable. That which we have within ourselves, and that only, do we attract from our environment. The discord may be due to weakness, as it is represented in the story of Acteon, rather than to malice; yet whatever its cause, if it is a portion of the character, built into the finer body through emotional associations, it will attract a similar discord from without. We cannot do injustice to another, or like Herodias, harbor thoughts of revenge, without building into ourselves the nucleus of the very condition thought about. The plot, the very wish that injury may befall someone, builds cells of a similar quality within ourselves, which, because of their discordant composition, because given a feeling of malice, not only work from the four-dimensional plane to bring about the injury contemplated, but due to their essential vicious nature, also work to attract misfortune to ourselves. Both the ductless glands of the physical body and the thought cells of the four-dimensional body, take their orders as they come. It is not within their ability to reason and make decisions; only to obey. If, therefore, the thoughts are evil, or the emotions run wild, they act as thus directed, unaware that destruction follows to their master. The text which the decanate thus suggests is: The Wages of Sin Is Death. The people whom we meet from day to day, not less than those with whom we make a casual acquaintance, leave us with a distinct impression of their characters. Certain points of strength stand out, and certain points of weakness. Even those we most admire not infrequently have special traits that lessen their personal attractiveness. We have all met the perennially apologetic individual, I am sure. The one who has ability sufficient for accomplishment, but who is fearful to make the attempt. When called upon to take some small responsibility he shrinks from it, asks that someone better qualified should do the work, or if he accepts it, makes it plain that, although he will do his best, he feels himself unqualified. Our psychologists have a label for this complaint. They call it an inferiority complex. Closely akin to him, although quite the opposite in his expression, is the braggart. His pleasantest pastime consists in telling people how great he is, what wonders he can do. He is always the hero of his own stories. Whatever he does, be it really great or small, the part he has had to play is given undue prominence in the telling. Because inside himself he feels inadequate he ever thus presents to others a false front, in the effort to impress them with his own superiority. But psychologists say this attitude also is in reality the expression of an inferiority complex. A third type of person we all know—in fact, we cannot completely avoid him—actually believes himself of quite superior stuff to other individuals. He is ever eager to appear before the public, but when he does, as the current sporting expression goes, he always plays to the grandstand rather than offer support to his associates in their team work. He strives for the plaudits of the multitude rather than seeking satisfaction in more obscure but worthy service. The psychologists say such an individual is afflicted with a superiority complex. Other traits of character there are also, perhaps a hundred of them, that derive from these main stems; branching out as ugly heads to mar the symmetry of action. Yet it were an unprofitable thing to draw attention to these defects, which in greater or less degree we find so common, were it not that in olden times they apparently were so well understood, and that the only remedy so far discovered is set forth most clearly in the story of the constellated Hydra. Although, according to the mythology of the Greeks, Hydra originally had a hundred heads, only one of them was immortal. It may be assumed, therefore, that the head yet to be seen on the constellated figure is this deathless one. Likewise, it has been found by modern psychologists, through wide experience with hypnosis, psychoanalysis and innumerable specially devised tests, that there is one head, or governing attribute within the unconscious mind of man which ever dominates the soul; which never is relinquished, and which never takes a second place so long as life shall last. More commonly it is referred to as the desire for significance. It is the inner urge to be and to accomplish. Within each form of life there is a vital urge, an impulse that causes it to cling to life, to struggle onward, to climb upward, to express itself and to maintain its own identity at whatever may be the cost. In human terms we speak of the group of thoughts thus expressing as the Power Urges. They are mapped by the Sun in a chart of birth. Because this urge for significance is chiefly that which impels the individual to struggle to survive, and without which he relinquishes his hold on life, it is that factor within the human mind which resists most strongly the effort to remove it, or to cause it to take a subordinate place. When it is quoted that self preservation is nature�s first law, it is implied, as psychologists have found to be the case, that the individual holds most tenaciously to the importance of himself. In his contact with the outside world, however, this sense of his own power and importance often suffers considerable shock. Especially in the childhood home is he surrounded by those whose abilities are greater. These through their attitude may cause the child to feel quite inadequate to meet that which is expected of it. Regardless of its abilities, for the child�s experiences are not wide enough to afford a basis of sound comparison, its repeated failure to live up to its own expectations, which are those implied by the attitude of others, may give rise to a chronic feeling of inferiority. On the other hand, the child who is constantly told how bright he is, whose parents place him in the limelight on every possible occasion, and in spite of mediocre performance give him unstinted praise, develops an undue feeling of his own importance. Too limited in experience to judge by outside standards, as his home and parents constantly offer the suggestion that he is made of better stuff, he accepts their statement as the truth and nourishes a chronic feeling of superiority. Because in childhood the mind is more plastic and impressionable than at any later date, the suggestions offered by parents and others in the home are of far more importance, as a rule, in the development of chronic states of feeling as regards its own significance, than the experiences of a later date. Yet whether the objective mind and certain thought cells of the unconscious mind accept the suggestion of superiority or that of inferiority, there is always a central nucleus of the unconscious mind—those thought cells most closely allied to the individuality—that never do accept the suggestion of their own inferiority. In spite of any evidence to the contrary they hold tenaciously to the attitude that the individual is significant in the scheme of things, that he possesses qualities of value, that in reality he is not an inferior being. They hold to this tenaciously, because when this inner attitude is displaced, when this Power Urge nucleus of the individuality accepts defeat, when the soul itself admits its lack of worth, no longer is there any hold on life, nothing left which makes an effort to survive. When, therefore, there has been developed through any experiences, of which the usual source is the home, a chronic feeling of inferiority, the individuality thought cells of the unconscious mind refuse to accept this and devise various subtle ways by which to save their face. The apologetic person, in the Power-Urge section of himself, expects greater things of himself than of others. He feels that he should be more perfect than the common run of mankind; hence he apologizes because of his performance, though quite as good, or better than the performance of others. He shrinks in fear from responsibility because if he did not make a great success of it, this would be a shock to his interior sense of superiority. The boastful individual, because of his desire for significance, which in actual life he fails to attain, compensates by trying to impress others with his superiority. He presents himself as he would like to be. But while this may fool the central cells of his unconscious mind, it seldom fools the public. The person with a superiority complex, after he leaves the parental roof and faces the world, still feels superior; but, because he fails to mold circumstances as he believes he should, his unconscious mind must ever find new alibis, for this lack of success. His failure to accomplish more than others, to save the face of his central unconscious mind, is ever laid to hard luck. He never gets an even break with others. He thinks himself imposed upon, and that his merits are never properly rewarded. These types are only three of the more easily recognized misadjustments, of the hundred that might be mentioned by which the unconscious mind compensates by subterfuge for failure to make a correct appraisal of its own relation to life. To readjust these mental factors was one of the twelve great labors of Hercules. 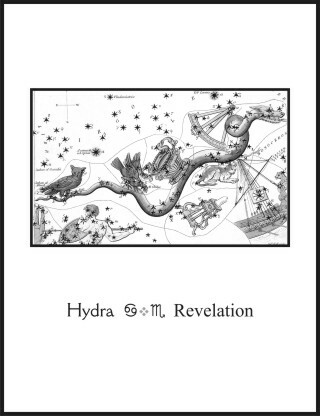 The huge sea serpent, Hydra, pictures the Revelation decanate of Cancer, where the Sun is located from July 2 to July 12. This creature of the middle decanate of the home sign, according to Greek legend, not only had a hundred heads, but even as when a complex or a repression of the human mind is violently slain it crops out in other types of expression, when one of the sea serpent�s heads was cut off, two other heads immediately grew to take its place. Hercules solved the problem of these abnormal growths by securing the aid of a companion, such a companion as befits a home. When he clubbed off one of the unseemly heads, Iolaus seared it over with a hot iron to prevent another from growing. The final head, however, was immortal, as is the desire for individual survival and significance. Wisely, therefore, instead of attempting its annihilation, Hercules buried it under a rock, symbolic of the "rock of ages," the Pole Star, Truth. Whatever may be the unseemly desires within the unconscious mind, they cannot successfully be repressed. Merely to deny them expression is to have them show two different heads where there was one before. But their energy can be utilized, and made to perform constructive work by applying the hot iron of discrimination, sublimating it through wise appraisal which directs it to find full expression in more highly acceptable ways. Quite correctly the Individuality of man refuses to consider itself inadequate, inferior and of no consequence. The soul of each was brought into existence with a definite and essential work to do. Quite correctly also desires for expression refuse to subside. Whatever their nature they represent energies which diverted can be turned to constructive use. Any attempt to annihilate a desire, to merely ignore it, or to suppress it, fails, because the energy is still within the finer body and must express either in acceptable or unacceptable ways. The text therefore is: Not Through Slaying Desire, but Through Sublimating It to a Higher Plane of Manifestation Does Man Make Soul Progress. If we turn back the leaves in the book of earth�s past, before long we reach pages in which fact and tradition are so inseparably blended that one cannot be discerned apart from the other. To perceive where one ends and the other begins thus often becomes a hopeless task. This seems particularly true in reference to the various accounts of the flood. One who has stood on high mountains in various regions of the land and observed close to their summits—or further down where erosion has failed to remove them as it has on top, scouring them off down to the granite core—various rocks of sedimentary origin, realizes that there is some foundation for the story of the great inundation. There are but a few choice spots in all the world that show no evidence of having been at some time in the past at the bottom of sea or lake or ocean. Sandstone, limestone, shale, and all their innumerable derivatives are formed only in the presence of water. Gradual subsidence of certain areas accompanied by gradual elevation of others may account for much of this; but there is evidence also of occasional cataclysmic change. Yet when we contemplate these, especially of modern geologic time, the accurate history of the rocks grows dim and human tradition emerges as of more significance. "In the year 6 Kan, on the 11 Muluc, in the month of Sac, there occurred terrific earthquakes which continued until the 13 Chuen without interruption. The country of the hills of earth—the land of Mu (some translate this Atlantis)—was sacrificed. Twice upheaved, it disappeared during the night, having constantly been shaken by the fires of the underneath. Being confined, these caused the land to rise and sink several times in various places. At last the surface of the earth gave way and the ten countries were torn asunder and scattered. They sank with their 64,000,000 inhabitants 8,060 years before the writing of this book." Quite similar in their purport are the accounts contained in the Timaeus and Critas of Plato, where the civilization of Atlantis is mentioned and the story is told of its sinking, as related to the Greek law giver, Solon, by an Egyptian priest. After describing it in much detail, and asserting that the world had been many times scourged both by fire and by water, the priest told Solon of the sinking of the western land in a single night some 9,000 years before. These times of greatest cataclysm, according to the stellar traditions of the past, take place when the equinoctial pointer, which is the index to evolutionary progress, reaches the stations of most critical change in its backward circle of the stars. These points are the dividing line between the fixed fire of Leo and the movable water of Cancer, and the opposite position of the zodiac where the fixed air of Aquarius joins the movable earth of Capricorn. These two points reached annually in the journey of the Sun mark the extremes of temperature. The hottest weather of the year commonly occurs about July 23, when the Sun moves from Cancer into Leo; and the coldest weather of the year usually may be expected about January 20, when the orb of day leaves Capricorn to enter the sign of the Man. The Vernal Equinox in its movement through the signs, however, goes in the reverse direction, so that it moves from Leo into Cancer, from fire into water, from the decanate of the red-hot crater into the decanate pictured by a ship. When the Equinox thus crosses from fixed fire into movable water, and the Sun at the time of the Vernal Equinox goes down in the west as if submerged, the Waterman rises in the east, triumphant, and starts pouring water from his urn down upon the earth in torrential floods. And as timing this event, the Pleiades, which are often called the doves, are then directly overhead. According to the latest and most refined astronomical calculations, the complete precessional cycle requires 25,868 years, instead of the round number, 25,920 years, which the ancients more commonly employed. If, therefore, as both tradition and the pictures in the stars hold forth, the period when stresses and strains are such as to make watery cataclysms probable relates to the passing of the Vernal Equinox from the decanate of Crater in Leo into the decanate of the Ship in Cancer, the dates are not difficult to ascertain. Taking 1881 as the date of the Equinox passing from Pisces back into Aquarius—that is, 30 degrees back from the place where in ancient times it had been ascertained that the commencement of the circle of stars coincided with the commencement of the circle of signs—it must have passed back into Cancer from Leo just five signs earlier, and will again reach such a point seven signs later. Five-twelfths of 25,868 gives 10,778 years before 1881, or 8,897 BC as the date of the last such period of watery cataclysms. And seven-twelfths of 25,868 gives 15,085 years after 1881, or 16,971 AD as the next such period. On these dates, at least, at the commencement of the astronomical year, as Crater goes down in the ocean and the Pleiades are overhead, the Waterman comes up with his urn as if to pour torrents down upon the earth. The traditions and stories of this olden flood, wherever they are found, are linked with the wickedness of men. This wickedness is not of the usual kind, but always has to do with strange and abnormal psychic phenomena. Atlantis sunk, so the tradition goes, because of its devotion to magic of the blackest sort. Those who had gained the ability to use occult forces no longer used them for the welfare of the people, but chiefly to gain in power for themselves. The populace was enslaved by unseen forces. In the time of Noah also, a similar condition obtained. The sixth chapter of Genesis relates incredible things about the diabolical influence upon the lives of the people of beings that rightfully belonged to a different plane. Those who go to the s�ance room expecting to surrender control of themselves to entities about which they have no knowledge should again read this ancient story. 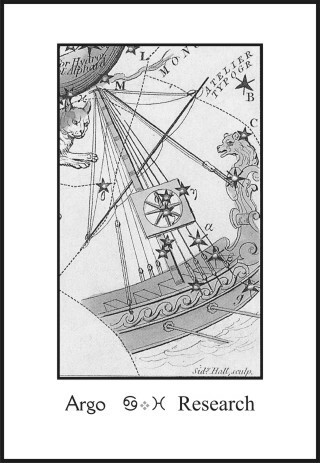 The ship, or ark, picturing the Research decanate of Cancer, where the Sun may be found from July 13 to July 23, indicates that the etheric sea of such a situation favors the production of strange creations; but it also indicates that it is safer not to become immersed in this Psychic Research sea. Warned by their knowledge of the stars, the wiser ones of Atlantis are said to have departed to foreign shores. Likewise warned was Noah, and as the account makes clear, neither he nor his family took part in the current psychic abominations. Instead, they ever kept alert, always avoided those who followed practices that included loss of self control. Their souls were stable and sound, like the Grecian ship which carried Jason and his companions on the famed Argonautic Expedition for the recovery of the Golden Fleece. This Golden Fleece of eternal life, symbolized by the ruler of gold, the Sun, in its exaltation, the sign of the Ram, is well worth sailing for, well worth all the Research that may be devoted to learning how it may be secured. But it is not to be obtained by loss of self control, and not by a complete discard of caution. There is a right way to investigate the conditions and possibilities of the unseen realms, those regions where man must make his future home. But when the ark first touched the land Noah did not throw caution to the wind and rush forth. First a raven and then a dove were sent out that the conditions which there prevailed might be learned without danger. Nor did Noah remove the cover of the ark until, without chance of being drowned, he had ascertained that the earth was dry. Not birds, but radio waves, are now used as messengers. The nervous system of man is an organic receiving set, over which he can receive communications from other planes. With properly developed poise he can tune in and out much as he desires, and without the danger of some other entity in control. If, as when the raven was sent from the ark, no message is received, or if it be inimical, if he retains poise he can tune off the station. But if, instead, he steps from his steady bark and permits dark waves of unknown origin to sweep him off his feet, so that, no longer is he able to determine what he can do, he has relinquished his ship of safety. The right and the wrong way to accomplish a given thing may seem closely allied. Particularly may this seem true in the field of Research so long as that which is desired seems identical. Yet the result to the individual of using the correct method of approach is the difference experienced by those who entered the ark, or departed on board ship from the land of Atlantis, and those who felt the full force of the deluge. Argo encourages rather than disparages the effort at research into the forces and regarding the entities of the invisible plane; a tendency outstanding among those born while the Sun is in the section of its annual cycle thus pictured. But it also offers wise council as to the method by which such voyages can be attempted in safety. Each mariner should keep his hand firmly on the helm. The text, consequently, is: Poise is the One Safe Haven of the Soul, therefore, "Under All Circumstances Keep an Even Mind."